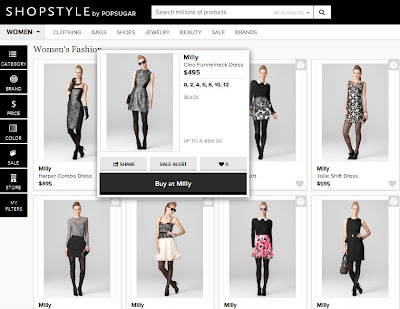 Babblings of a Mommy: ShopStyle Gets A Facelift! Behold! 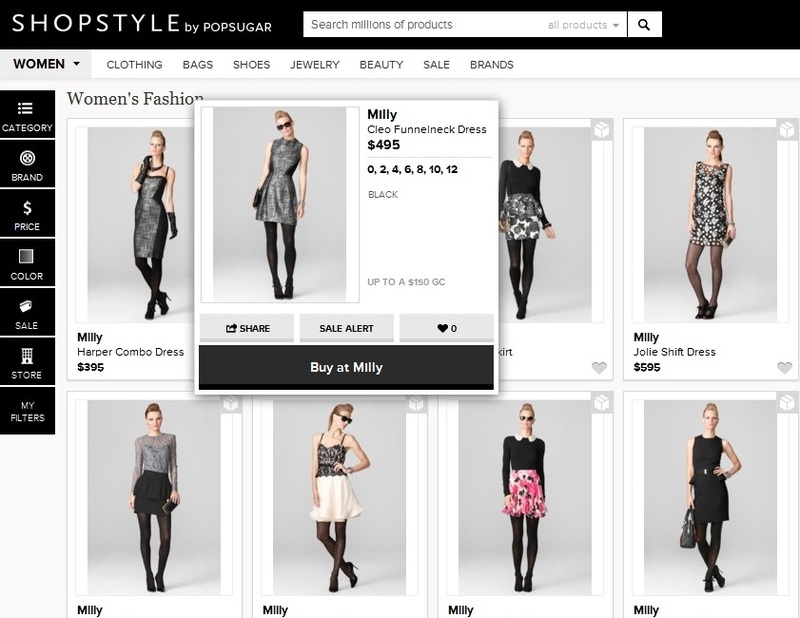 One of my favorite shopping resources, Shopstyle, got a little nip/tuck yesterday! The service engine looks much cleaner and streamlined then before. I got a exclusive sneak peek beforehand and got to test drive their new layout. The revamped website is much more sophisticated and sharper-looking. The images are bigger and framed with a pop-up feature which gives you information such as free shipping, sizes, sale alerts, or allows you to share it or favorite it. On the bottom bar is your social drawer which allows you to sign-in to your account or view trending products, related looks, and your favorite looks. So easy to use and much more appealing. Loves! I've never been on ShopStyle, do they carry plus size lines?? They're an awesome search engine! And yes they do feature plus sizes clothing from brands such as J.Crew, ASOS Curve, Nordstrom, etc.